This lg. jolly fat Santa stands approx. 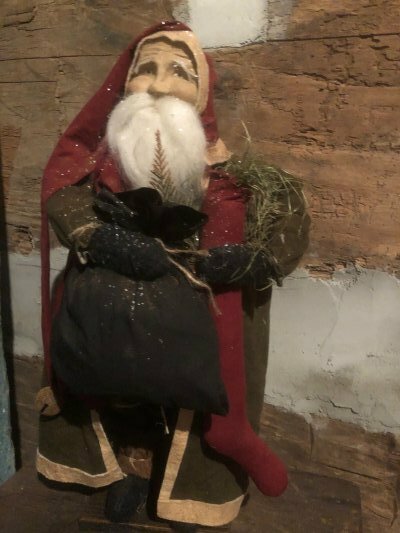 22" high and he is wearing a green open coat and holding a red stocking and a black bag.